It doesn’t make for pretty reading once again from an Everton perspective. Sam Allardyce had a really good opportunity to give some continuity and reward to the team that won against Leicester City earlier in the week. Manager rating – 0 – It was the final straw for us today. We can’t look past his naive and nonsensical decision to make 5 changes from the side that won on Wednesday night, 4 of those to the defence. There was no ball playing midfielder on the pitch with Rooney, Davies and Sigurdsson unjustly sat on the bench. Allardyce set the team up with a formation that seen us beaten 2-1 by Bournemouth, the last time it was actioned. A catalog of embarrassing errors before a ball had even been kicked. Jordan Pickford – 4 – The only reason he doesn’t get a 5 (average rating) is because he might have been able to sort his feet out quicker for the goal that was deflected off Mangala. Felt for him once again today, it’s tough when your defence and midfield are incapable of the basics. Jonjoe Kenny – 2 – It was a really weak showing from the young right back today, but he always carries effort and more determination than most when things gets tough and he tried to replicate that today. Struggled positionally and lacks pace to get forward quickly enough at the moment. Ashley Williams – 1 – An utter embarrassing performance from a man that was our most experienced player on the pitch today. Constantly in the wrong position, constantly had his feet tangled and showed no qualities ofa leader, certainly doesn’t deserve the armband. Michael Keane – 2 – It’s clear that our players struggle with consistency and Keane is no different. The only thing that goes for Keane is that he is young and hopefully with the right manager going forward he can find the level he displayed versus Leicester more regularly. But, an awful showing against Arsenal and a lack of ability to win the balls in tackles cost him and the team. Williams should, however, have been the player coming off at half time, not Keane. Eliaquim Mangala – 2 – Possibly one of the worst debut performances we’ve witnessed. Had his body position all wrong for Arsenal’s first goal and thus failed to make a simple clearance. Hap-hazard is polite for the way in which he defended against the Gunners. Just because he’s left footed doesn’t mean he should walk straight into the team. Cuco Martina – 3 – Took a step back defensively today after a decent performance last time out. Went back to standing 10 yards off the man thats about to cross the ball, looked lost without Jagielka guiding him. Thought he got forward well though, but just didn’t see the ball come his way apart from his assist with a good ball into the box. Idrissa Gueye – 3 – Over run and very poor on the ball. Gueye does so much running in the game that he doesn’t need to do the running of a whole midfield on top of that. Still shown heart to try and get on the ball. Morgan Schniederlin – 1 – If we never see him in an Everton shirt again we will be happy. No heart, no interest in getting involved when it gets tough and takes far too many touches on the ball and refuses to pass forward. If West Ham did indeed offer us £20mil for him, the person who rejected their offer needs to walk, along with the player himself. We mentioned after his 2 yellow cards in 5 minutes vs Lyon, that if he ever shows such disregard for the badge on his chest and his team mates again, then we don’t want him to play for our football club. He’s done it again and we’ve seen enough. Theo Walcott – 5 – The winger would certainly have had a stronger rating had he have seen more of the ball. When he did eventually get the ball he made things happen and again Allardyce was wrong to take him off so early in the second half. Yannick Bolasie – 2 – Was he even on the pitch? I don’t recall a thing he did all game. Granted, he only saw as much of the ball as Walcott did, but he made no effort to go and get the ball for himself. His defensive duties when the team wasn’t in possession were totally discarded. All round it wasn’t a good enough showing from someone who is supposed to make thing happen and get at defences. 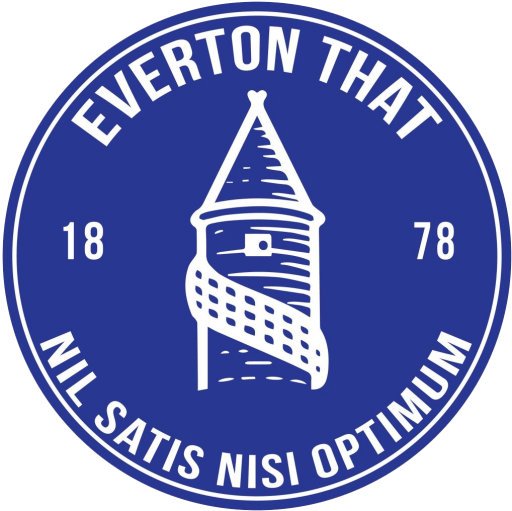 Oumar Niasse – 3 – Had to finish a sublime cross from Theo Walcott with his touch at the back post. Not to find the inside of the post from such an opportunity is criminal. His running is and always will be recognised but in games like that, the smallest chances need to be taken full advantage of. Tom Davies – 6 – Why he was dropped in the first place completely baffles us. Tom understands what it means to play for our club and was one of 3 players (Walcott and DCL being the other 2) in our side today that can walk off the pitch and be remotely proud of their own performances. Started the teams glimmer of effort in the second half and started the attack for our goal. Must see a consistent run of games between now and the end of the season. Dominic Calvert-Lewin – 5 – Scored our only goal of the game and did everything he could to get on the end of a good cross. Cenk Tosun – NR – £25mil to sit on the bench? I sincerely hope he isn’t going to be yet another player disrespected and discarded by Sam Allardyce. If he isn’t on the pitch how is he to adapt to the pace of the Premier league?